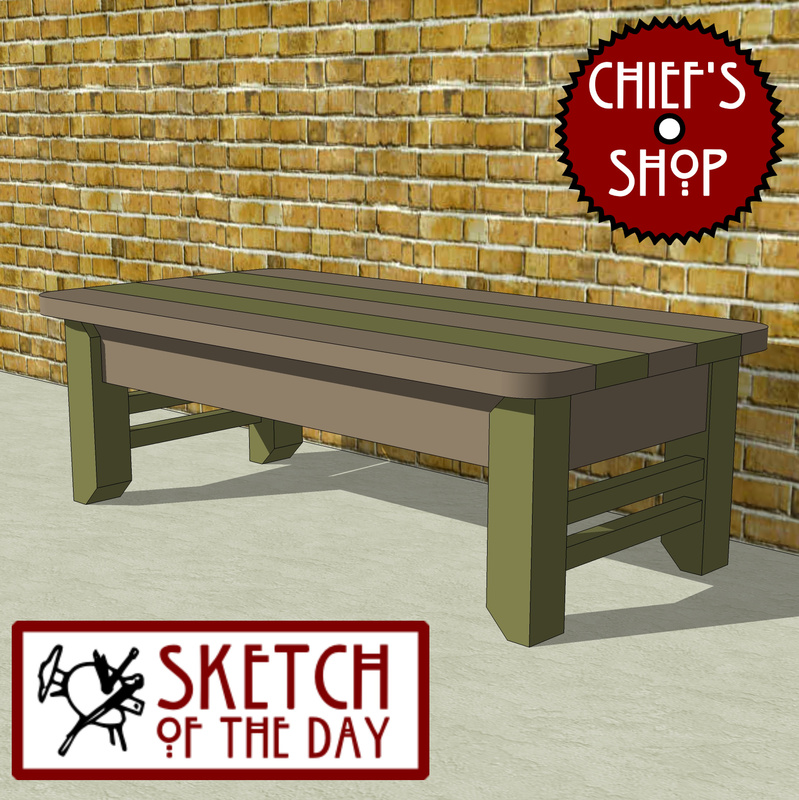 A front porch bench concept – nice and deep for seating or placing items such as potted plants. Be sure to like Chief’s Shop on Facebook! Prizes are awarded at various levels of “likes”. 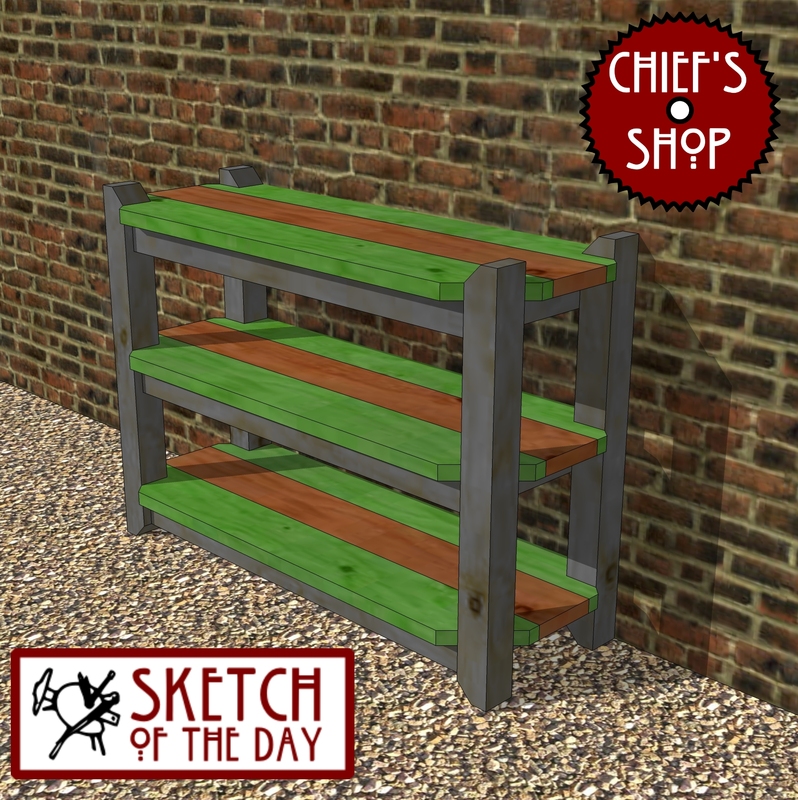 Free woodworking plans available here and more Sketch of the Day images available here.Make Some Sawdust!